The InterContinental Carlton is located in the heart if the Croisette, a few steps from the Palais des Festivals. Between sand beaches and the mountains of the back country, Cannes is an authentic destination and we want to share the unique experience with you. To help you discover the gastronomic and cultural wealth of the region and respond to all your resquests, our Concierge service is at your disposal. Direct airport bus: €20 one-way and €30 round trip. Taxi: from €85 without reservation. Vehicule with chauffeur: from 175 €. Reservation recommended. 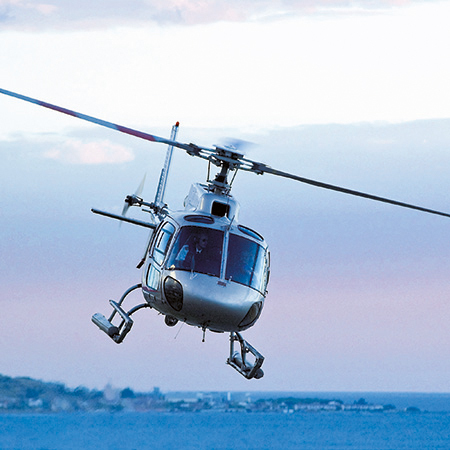 By helicopter: from €550. Reservation necessary. With your own car: Take the A8 motorway, direction Cannes Aix Marseille, exit 42 for Cannes. Take the “Centre-ville”, Palais des Festivals direction. Turn left and follow the Croisette to number 58. The city of Cannes has 280 restaurants. Most are accessibe on foot (from Le Suquet, in the Old Town of Cannes). You may reserve a table with our concierge. 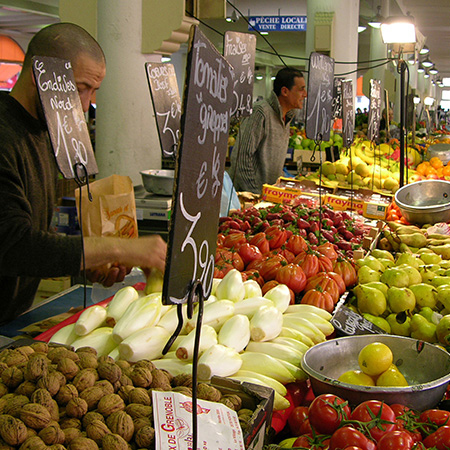 A Provençal market is also held in the city daily. The famous Flower Market and Old Quarter of Nice are located 30 minutes away from Cannes. 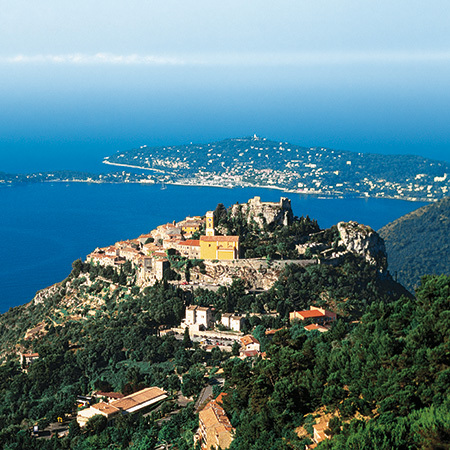 Excursions are available to typical small Provançal villages located less than 30 minutes from the hotel, including Mougins, Grasse and Saint-Paul de Vence. The Gorges du Verdon, renowned among practitioners of extreme sports like canoying and raflting, are also near Cannes. The Iles de Lérins, located in the Bay of Cannes less than 20 minutes by boat from the Croisette, transport you to a quiet, preserved natural environnment. Idyllic islands with small coves, ideal for organising boating excursions, treasure hunts and picnics. 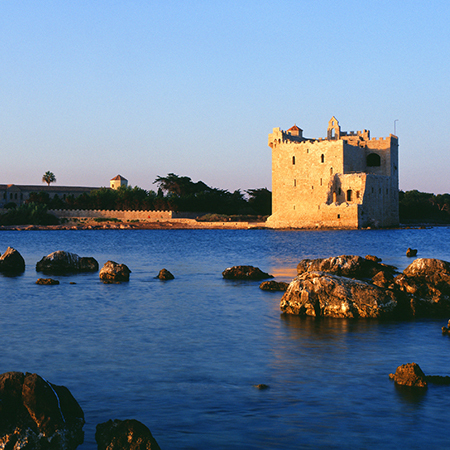 You can also visit the fort of the Ile Sainte Marguerite, where the “Man in the Iron Mask” was imprisoned. 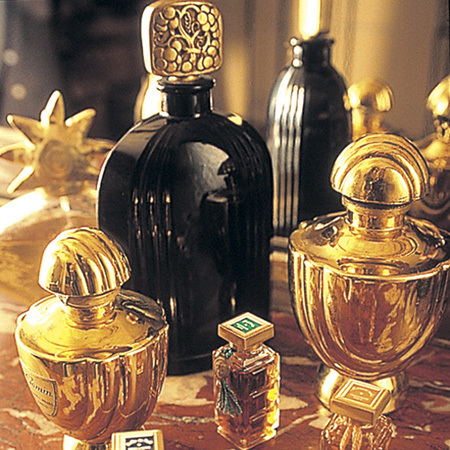 The perfumeries of Grasse, such as Molinard and Fragonard, offer free guided tours so that you can discover the fascinating experience of the mysterious alchemy of perfumes - raw materials, distillation, enfleurage, perfumers and their creations -, ending with a visit to a boutique. Each factory offers introductory classes in perfumery to enable perfume lovers to create their own toilet water. Only the Department of the Alpes-Maritimes can lay claim to such a combination of exceptional landscapes, natural wealth, and artistic treasures between a Sea that is the cradle of Western civilisation and moutain range that is a sanctuary of original cultures. 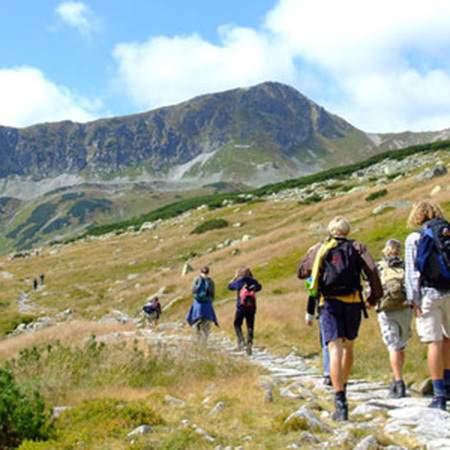 Discover an amazing variety of hiking paths to follow on foot, trail bike, or on snowshoes during winter. 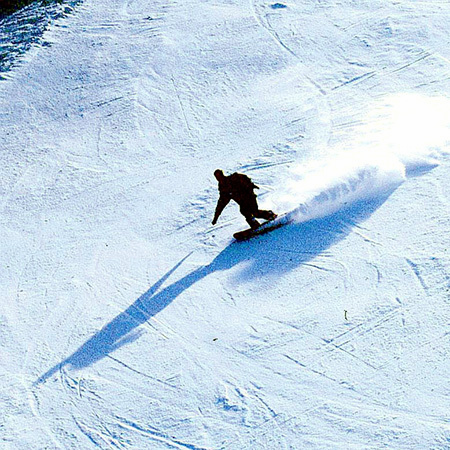 At 1½ hours from Cannes, with guaranteed sunshine, come ski and enjoy the snow in one of the 15 ski and Nordic areas in the Alpes-Maritimes (Isola 2000, Auron, Valberg, etc.) Lovers of Alpine or Nordic skiing, a total of nearly 660 kilometres of slopes await you in these ski areas. It's here and nowhere else... It's skiing in the Alpes-Maritimes! 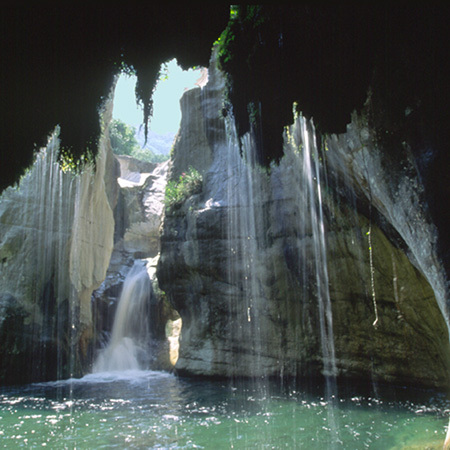 Les Gorges are a pole of attraction on the Côte d'Azur between Grasse, Vence and Saint Paul. It's a touristic circuit where you'll be able to admire waterfalles, including the most famous one, known as “La Pétrifiante”. It's a listed historic site and a centre for canyoning that constitutes one of the area's major attractions with its 40-meter-high falls followed by several small rock pools. 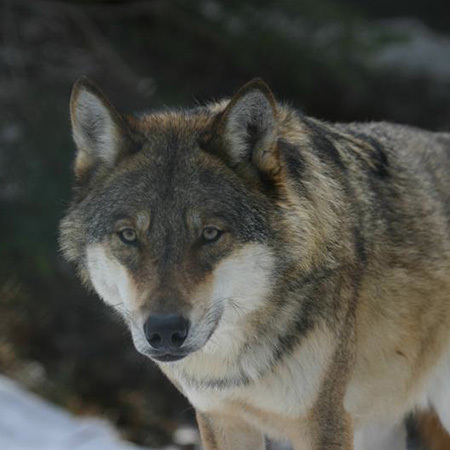 The wolf is a mythical as it is controversial since its return to the Mercantour range. Alpha Park is near Saint-Martin-Vésubie, only an hour by car from Cannes. There you'll have the opportunity to observe three wolf packs, but also get to know the animal and its relations with humans better. 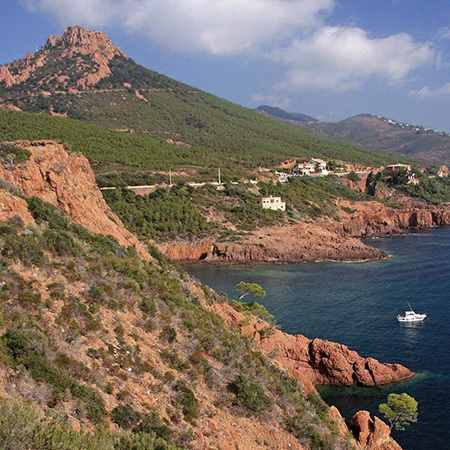 The city of Cannes is located a few kilometres from Mandelieu-la-Napoule, near the protected Esteral range, recognisable by its red rock. To the east is the city of Nice and the Principality of Monaco. The Italian border and Ventimiglia and San Remo are only about 60 kilometres away, and in the back country of Cannes you can visit Grasse, the world perfume capital.